You must make reservations at least 5 minutes in advance of the time at The Whitney. Hours: Afternoon Tea: Everyday at 2:00 by call-in reservation only. Brunch, Saturday and Sunday 10:00am - 1:30pm. Dinner: Monday through Saturday 4:30pm - 10:00pm, Sunday Dinner: 4:00pm - 8:00pm, Ghostbar open seven days a week at 4:30 Live Entertainment: Friday - Saturday 9:00-midnight. On-site Valet is $10.00. There is a paid self parking lot across Woodward, and some limited street parking along Canfield. The Qline is operating with a stop on the corner of Woodward and Canfield, connecting south to The Fox, Ford Field, Little Caesars Arena and the DSO. It also connects north to West Grand Boulevard with a short stroll to The Fisher. The Whitney offers live entertainment in The Ghostbar Friday - Saturday nights. Live pianist nightly and during Sunday brunch. 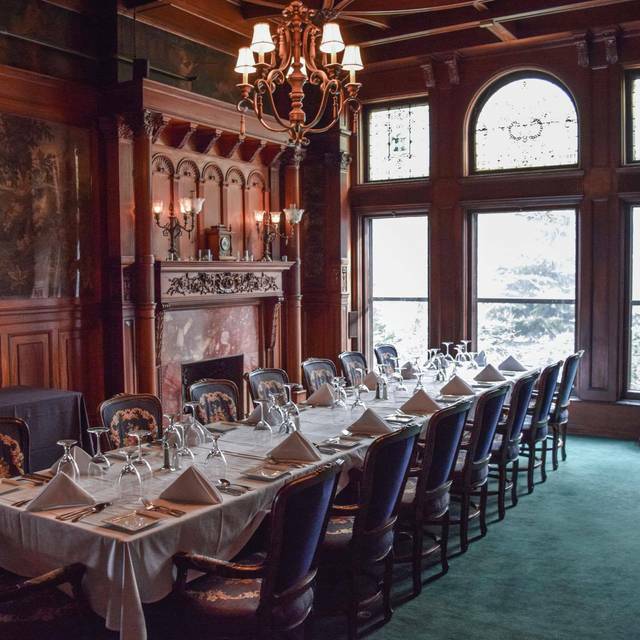 We offer private dining options for groups from 10 - 200. 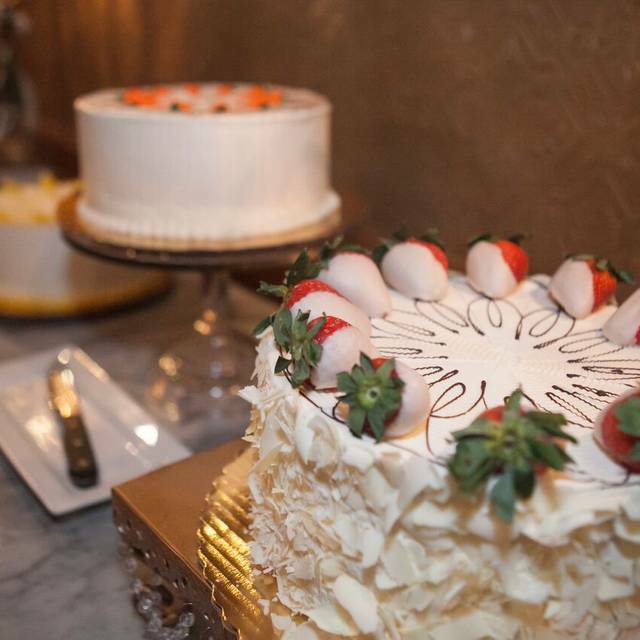 Cocktail parties, afternoon Tea Bridal Showers, Rehearsal Dinners, Birthday Brunches, Garden ceremonies are just a few of the options. Call 313-832-5700 for information and details. 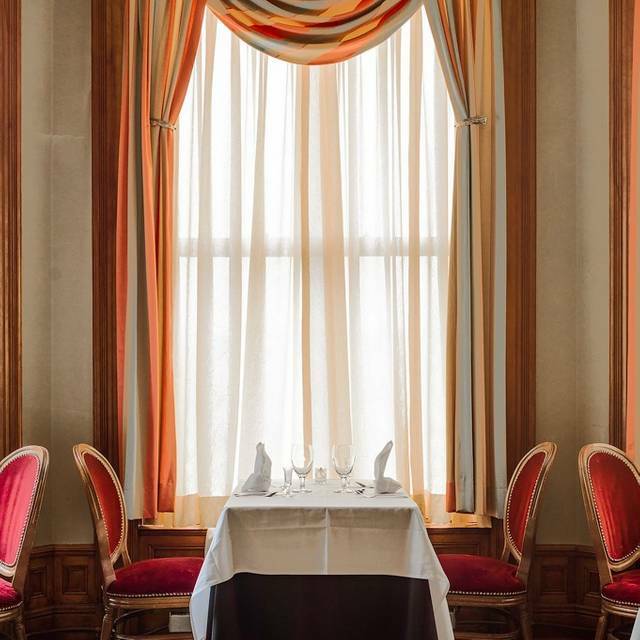 The Whitney is Detroit's most Romantic Restaurant. 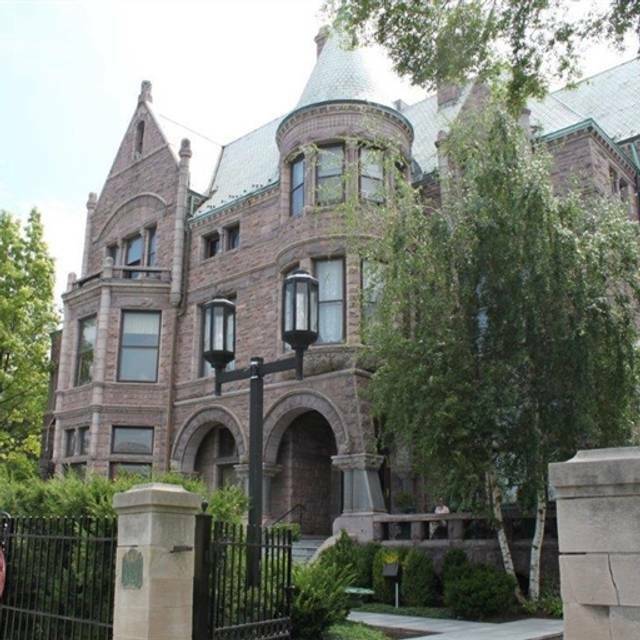 Housed in a historic 52 room 1890's mansion on Woodward Avenue in the heart of Detroit's cultural district. 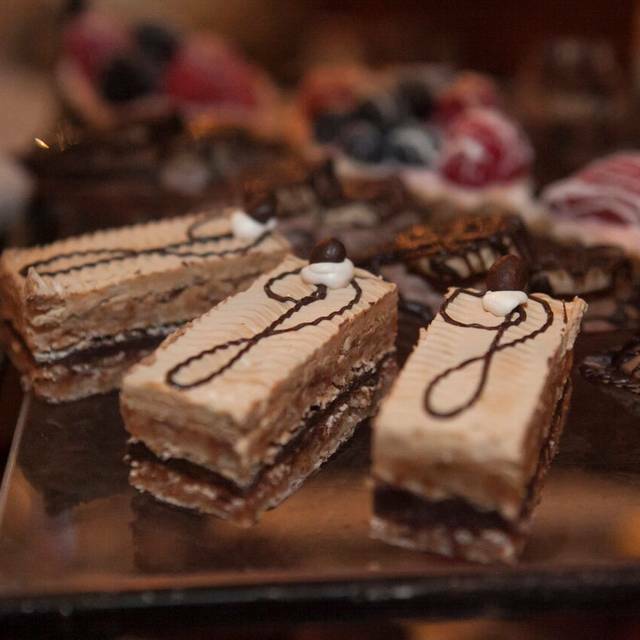 Elegant plated Brunch Saturday & Sunday Morning. The Whitney also serves a Luxurious four course "Afternoon Tea" everyday. Live Entertainment in The Ghostbar Friday - Saturday nights. Call for Ghost Hunting Dinners and Special Events. Treat Mom to Detroit's Best Brunch at The Whitney. Mom will receive a very special gift on her special day. Join us for Easter Brunch! Special visit and gifts for the kids from The Easter Bunny. We were having brunch before seeing “Hamilton”. Paul was absolutely outstanding on the service side. Food was perfection and the ambiance could not be better. Thank you for making my birthday outstanding! They were so good to my parents and I, thank you for the special treatment for our birthaversary dinner! Service was excellent as was the food! We were not disappointed. The piano was a bit loud at our table, but playing Happy Birthday for three of us made up for it. My wife and I celebrated our anniversary at the Whitney and were very pleased with everything. The parking was effecient and timely. Our waiter was very accommodating and made our dinner an enjoyable experience. Our meal was excellent and reasonable considering the quality. 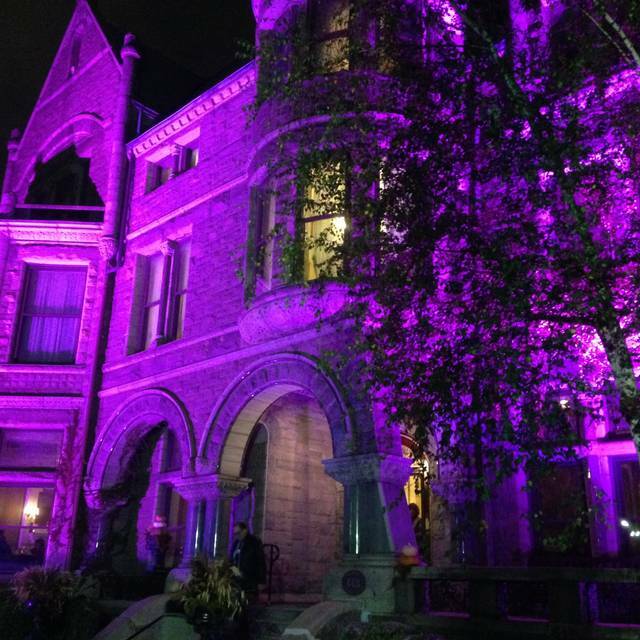 We were able to take in a guided historical tour of the mansion which was very good as well. We lingered for a bit soaking up the ambiance of the Whitney over drinks. It was a memorable evening. Wonderful experience, very welcoming staff. My daughters and I enjoyed the food and our “fancy” night out. The perfect dining space before going to the Fisher Theatre, it’s mine and my husband’s go to place for dinner downtown Detroit. To our surprise, they gave us 20% off our food bill since we were going to see Hamilton after dinner. It sweetened our night. Early dinner after a matinee performance of Hamilton at the Fisher Theatre. Great facility. 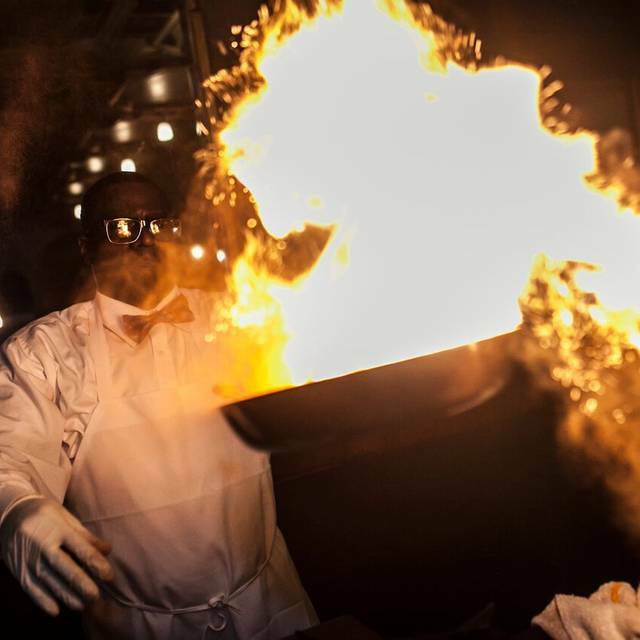 The chef accommodated food allergies with no problems. Hot food arrived hot. Staff did not rush us. Plan to take the 15-20 minute free tour of the mansion. Be sure to visit the Ghost Bar on the 3rd floor. You might experience an apparition! Lovely experience. We will definitely repeat after another production at the Fisher. Having valet parking is absolutely a big plus! Next time we want to take the tours. Added my daughter to the reservation with no problem, thank you #The Whitney for always making my experience Wonderful! Fine food! Excellent service in one of the most iconic restaurants in Detroit before seeing Hamilton...what a night! The chairs were dirty and a bit uncomfortable. I was surprised with the lack of customers. Birthday and Hamilton (20% off food which was nice). What a great historical building. We went for an early dinner before heading to the Fisher to see Hamilton. Our server was very friendly and was respectful of our time. We started with some champagne which was great and the eggplant bruschetta which was not great. We both had the beef wellington which was amazing. I believe it is their house specialty. Big wine selection by the glass which is nice so you can get a great glass without having to buy a bottle. For dessert we had the chocolate cake and the cheese cake. My wife does not like cheese cake at all but liked this one. 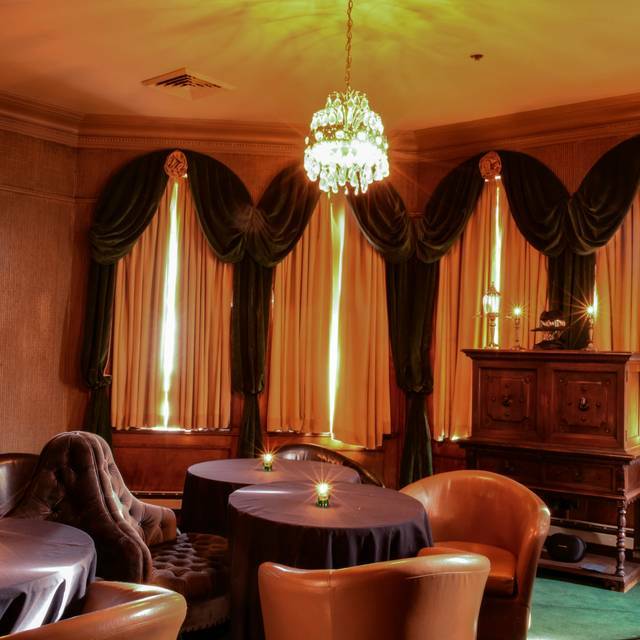 Save time to head up to the 3rd floor to have a drink at the ghost bar! My family and i went for bunch before attending Hamilton. We got there a little early, but we were seated right away. Everything was clean and the scenery was beautiful. Service was excellent. Our cups of water never got low. Food was excellent, delicious and didn’t have to wait long. The menu had quite the selection and was hard just to choose one option. Very appreciative of waiter giving all three of us 20% off our meals since we were seeing Hamilton that day. Always enjoy going to the Whitney. We had a perfect Sunday brunch experience at the Whitney. From the valet to our waitress everything was wonderful. Our waitress did a fantastic job! She was very attentive and was very timely. She knew we had to get to a show and served everything perfectly. The food was fantastic. The menu has a lot of wonderful choices. It was hard to decide what to pick! We highly recommend the Whitney for brunch. It was my girlfriend birthday. The brunch is fantastic and the price for what you get is amazing! I would highly recommend it to anyone. The food, ambiance and service are outstanding! We had brunch for a family member’s birthday and The Whitney was a perfect venue for the meal. It is elegant and the food is extraordinarily good. We went there for brunch for our anniversary and everything was great from the service to the food. Highly recommend. Very nice, great waiter. It was our 1st wedding anniversary. We had a wonderful time. Aside from the small child screaming at a table close by for a while we couldnt be more satisfied with our experience. If I could give 6 stars for the food and service I would! Worth every penny and a wonderful way to spend a night out. Make sure you visit the 'Ghost' bar on the third floor after your meal. Food was exceptional but service seemed to be off compared to usual. Long waits for items ordered or for clearing of plates, etc. Example, a 15 minute wait for drink order while only one other table in our server’s section at a 4:30 reservation. Chocolate hazelnut cheesecake was fantastic. Food excellent. Home beautiful. What a treat to experience. Our waiter's table etiquette to be desired; reached over table several times, reached across to pour coffee. I had coffee pot in my face several times. For a dining experience like this one would expect a better trained service team. The Whitney was a Five Star experience all the way around. We arrived early and had a drink in the third floor bar which was very relaxing. The hostess was very friendly and we were seated at an excellent table. Our waiter (Joe) was attentive but not pushy. He kept a nice steady pace with our meal. When our meal arrived mine was a little over cooked but still very tasty. When the waiter came back to check on us he noticed the meal was not made correctly and offered to replace it. I was not concerned and since we were going to a concert we would not have time to wait so the waiter brought the manager over and he comp’d the meal. They were very apologetic about it and made us feel good as a customer. This positive experience has made us want to come back again and enjoy the historic house and dining experience. We have always loved the Whitney, but this time we were very disappointed. The server was okay, but not nearly as professional and on her game as others in the past that we have come to expect. The calamari was delivered lukewarm and a little tough. The bread was literally the best part of the meal. Salad was good, beef wellington was a little tough and over cooked. I don't normally complain but this visit to the Whitney was overall disappointing. With the number of amazing new restaurants in Downtown Detroit; this doesn't even come close. Someone in their management needs to take a close look at who is serving and what is being delivered to the table. Things about this place that really stands out are the history, hospitality and amazing food. You will get a tour of this place every 30 minutes. Ghost bar on third floor is famous for being haunted and that’s how it got the name I guess. We absolutely love the Whitney. One of our first dates was to the Whitney and we have been going there ever since. We just celebrated our 27th anniversary with you and any time we want a fabulous meal with beautiful ambiance and great service, we choose the Whitney. Fabulous experience, including food and service. 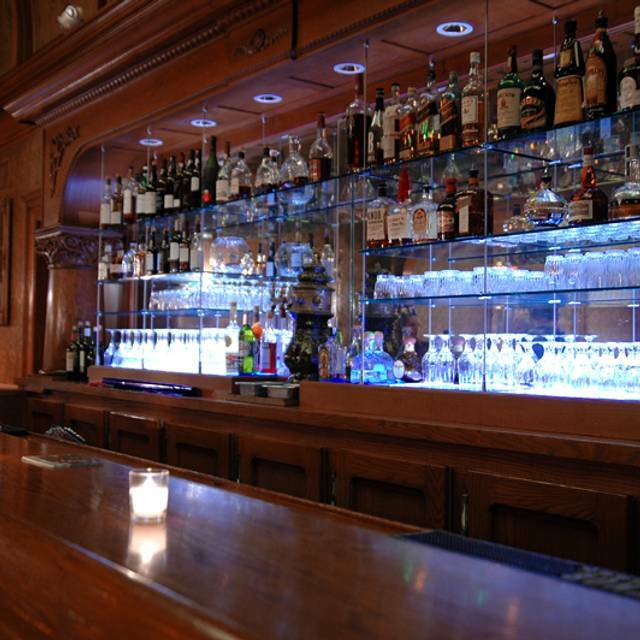 Make sure you arrive early and experience an adult beverage at the Ghostbar.